Chicago mourns the loss of its favorite purveyor of encased meats. These were our favorite reactions. 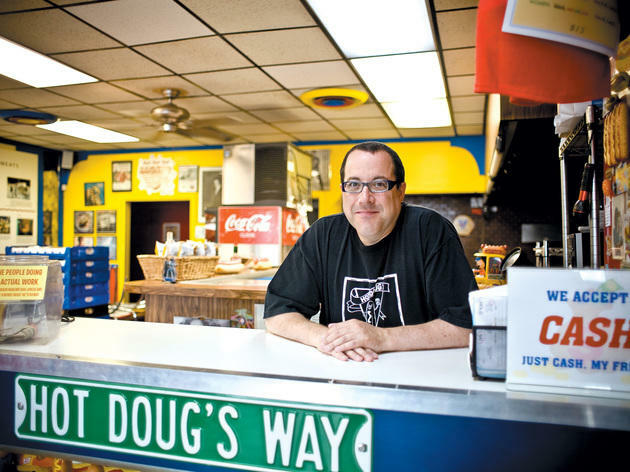 We, along with lots of you, have been in shock since Doug Sohn announced this morning that he was closing his deservedly beloved Hot Doug's on October 3. Here, the best Twitter reactions to this terrible news. “D’oh!” - That guy with the Hot Doug’s tattoo ensuring him free Hot Doug’s for life. Considering how distracted everyone is with Hot Doug's closing, now'd be the perfect time for a politician to sneak out some bad news. I'm sorry that Hot Doug's has ruined everyone's life. 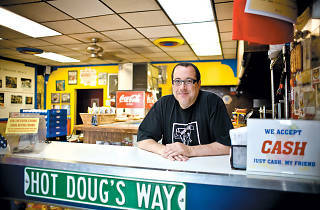 Wait no what why Hot Doug's what is happening please god no I hope May 6th is the equivalent of April Fools in wherever Doug was born. Hot Doug's is closing on October 4th, per their website. Who gets custody of the line? We're all going to see what I'm like without @hotdougs in my life come Oct. 3. It isn't going to be pretty.